The history of bedbugs is long but interesting. Some of the oldest records of bedbugs date to ancient Greece, and many speculate that bedbugs were transported to England in timber used to reconstruct London after the Great Fire of London in 1666. Bedbugs likely arrived in North America along with the colonists who settled here. In fact, bedbug infestations on some ships heading to the New World were so severe that bedding was occasionally banned from several ships. Bedbug infestations were highly common in almost every part of the world during the late nineteenth and early twentieth centuries. Part of the reason that many people think that bedbugs are a recent problem is because bedbugs became almost extinct during the 20th century with the introduction of DDT and several other insecticides. Unfortunately bedbugs are once again flourishing, due almost entirely to the bans placed on DDT, as well as the growing resistance of bedbugs to common insecticides. Most people have attributed the recent rise in bedbugs to the increase in world travel allowing the bedbugs to spread from one hotel room to another across city and country borders. However, the situation is exacerbated by the lack of response from hotels, plane companies, and retail stores, who often ignore or misdiagnose the problem. For better or worse, the media has recently started to document the bedbug resurgence in New York City, where the problem has exploded to the extent that several large retail stores in Manhattan have had to shut down in order to combat the problem (e.g. 42nd St. AMC Theatre, Niketown, and Abercrombie & Fitch). Bedbugs are not a problem that is going to go away any time soon. Most people do not even realize what bedbugs are and often believe that bedbugs are just a myth or else are another insect such as dust mites. Most problematically, even if people are willing to accept that they have a bedbug infestation, extermination can be a lengthy and costly process, involving washing, steaming, and spraying of chemicals. Some people are so put off by the experience that they simply move out and leave behind their infected past belongings, often not realizing that bedbugs can be difficult to outrun. Cities are crowded and bedbugs can be picked up easily, even when luggage comes into contact with other infected luggage. The solution is not in running away, but in tackling the problem head on. We need to understand the problem, be able to protect ourselves and our homes, and exterminate when necessary. What can you do to prevent the spread of bed bugs? 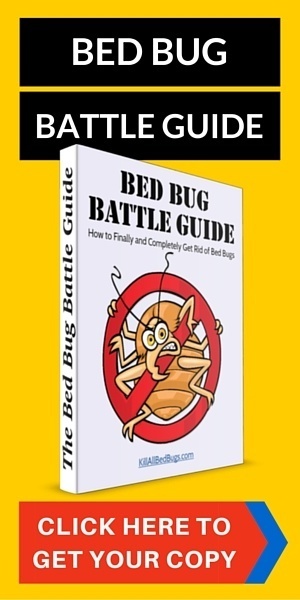 While this bed bug history lesson has been interesting, the more pertinent discussion these days is how to prevent the spread and curb the dominance of bed bugs. Buy a mattress cover for your mattress at home. Bed bugs often go for your bed and create a home for themselves in your mattress because that’s where you sleep. Then when you go to sleep, they’ll come out of your mattress and feed on your blood by biting you. So, one of the first things you can do to protect yourself from bed bugs is to make sure bed bugs can’t take root in your mattress. A mattress cover is a waterproof material cover that goes over your mattress and is sealed so that bed bugs cannot go in or out of it. 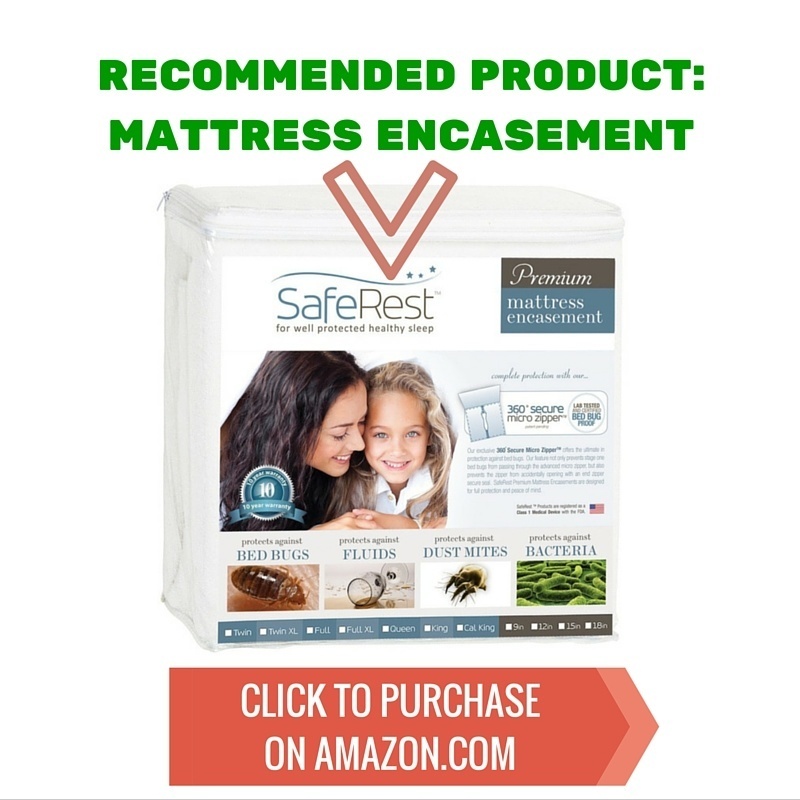 It’s a fairly cheap device (under $50 often) that can protect your mattress against bed bugs, but also against spills or unfortunate damaged from dogs or children peeing on your bed. To make sure your mattress cover keeps protecting you against bed bugs, you should check it regularly to make sure no cuts or holes develop. There’s also usually a zipper on the mattress covers (also called mattress encasements), and you should make sure this zipper is secured and doesn’t come open. Some mattress covers come with locks for securing the zippers, but you should tape it down just in case. Regularly check for bed bugs in your home. There are a few easy steps you can take to check for bed bugs in your home (especially around your bed). First, if you’re not using a mattress cover, then lift up your bed sheets every month or so and look for any dark or brownish spots or stains in the corners and around the seams of the mattress. That’s where bed bugs like to hang out and lay eggs. 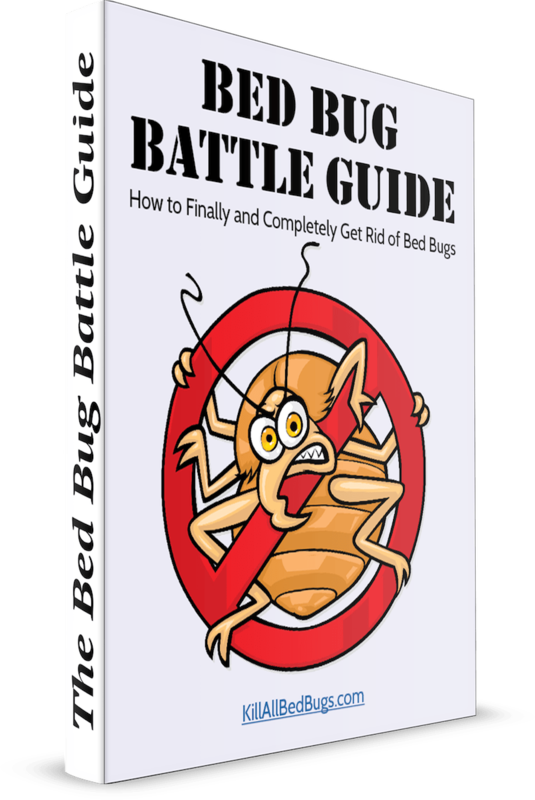 Using a simple contraption like a Climpup device or even something simpler like just some double-sided tape on your bed legs, you can catch bed bugs climbing into or out of your bed. This is useful to do even if you use a mattress cover as bed bugs can also lodge in wood or in corners or cracks of walls or furniture. If you find any signs of bed bugs, then please check out our page on how to get rid of bed bugs so you can quickly and effectively get rid of them. Make sure you don’t pick up bed bugs when you travel. Traveling is one of the easiest ways of picking up bed bugs unsuspectingly and bringing them back into your home. In particular, you should check any hotel beds you sleep in (do the same mattress check that’s described above). This simple check can save you a ton of hassle later on. 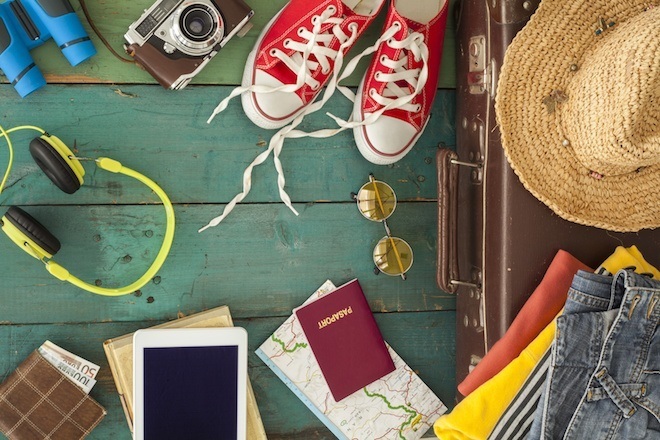 Place your luggage on tiled floors, on the luggage rack, or else in the bathroom as those are locations where there’s less chance bed bugs will be resident. Also, use hard cover luggage if possible as you can easily wipe down those with some rubbing alcohol when you get home to ensure that no bed bugs or bed bug eggs are lodged on them. When you get home from a trip, wash all the clothes you took using hot water and then dry on a hot setting. If you traveled home via plane or bus, then also take a shower to wash off any bed bug eggs that may have gotten on you. This will kill most bed bugs and bed bug eggs that might have gotten transferred onto you or your clothes. Wipe down everything else with some rubbing alcohol as this will also kill bed bugs. If you get bed bugs, make sure to put an effective treatment plan into practice immediately. If you regularly check whether you have bed bugs at home or not, then if bed bugs do appear, you should be able to catch the infestation very quickly. This will mean you can pretty quickly kill them all off and resume your life. However, since bed bugs are rather resilient and very good at hiding from you, we still recommend you put into place a comprehensive treatment plan. This will include using a dry steamer to kill bed bugs and bed bug eggs on your carpet, mattress, sofas. Then, we recommend washing all of your clothes and bed sheets with hot water and drying them on the hottest temperature possible. Bed bug sprays can be used for protection against any new bed bugs that are born, but we actually recommend using diatomaceous earth instead as this is a safe and natural dust that can be spread in your home and is very effective at killing bed bugs. When you dispose of bed bug infested furniture, make sure you label them. If you throw away any of your furniture (e.g., mattresses or beds or sofas) because they’ve been infested with bed bugs, then please do the world a favor and label it clearly as containing bed bugs. That way, unsuspecting people looking for cheap furniture won’t take it by accident and thereby help spread bed bugs even further. If you have bed bugs, then when you dispose of vacuum bags, make sure to seal them carefully. When you get bed bugs, most of us will want to vacuum our home first. This is a good initial method to use to get rid of bed bugs, but you must take care to seal the vacuum bag after. Many bed bug eggs may have been sucked up by your vacuum, and you’ll want to make sure those don’t hatch into bed bugs and then come and re-infest your home. A safe method is to place the vacuum bag into a plastic bag and then to seal that plastic bag with tape. Then, we suggest washing your vacuum cleaner pipes with hot water and wiping down the inside sections with rubbing alcohol. Some people also suggest housing that vacuum cleaner in a separate sealed plastic bag and only using it to deal with bed bug issues. This is a good method of preventing re-infestation. We hope this bed bug history article has been informative and will help prevent the further spread of bed bugs around the world.